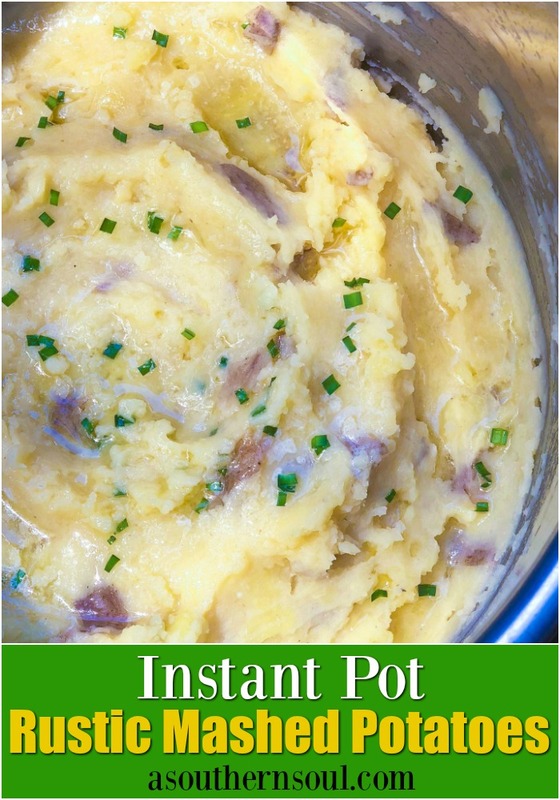 Bust out your Instant Pot and make the easiest, mashed potatoes ever! 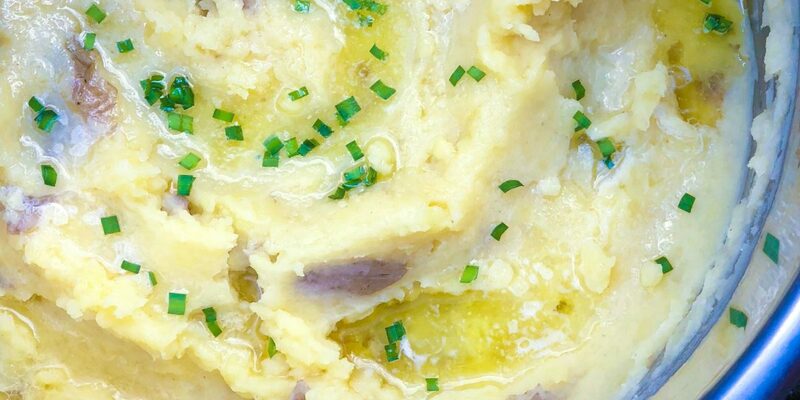 If your family loves potatoes, then this recipe if for you. 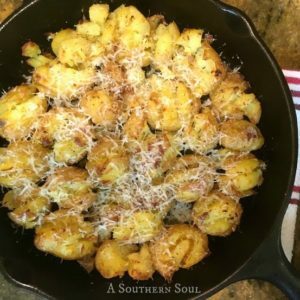 Buttery, potatoes seasoned perfectly, made in less than 15 minutes are a great dish for a weeknight meal yet special enough for your holiday table. A few months ago, I bought an Instant Pot. 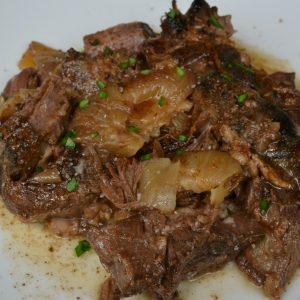 Ever since then, I’ve been experimenting with different recipes to see if pressure cooking was really a “thing” for me. I decided to I enlisted the help of my family by asking them to make a list of recipes they wanted me to cook and I’d convert them to the Instant Pot if possible. 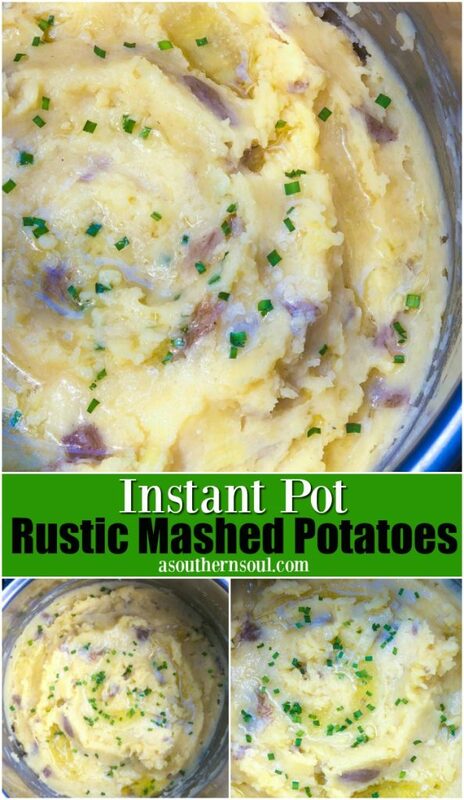 My son requested, potatoes, of any kind, so I decided I’d give my version of mashed potatoes a try. 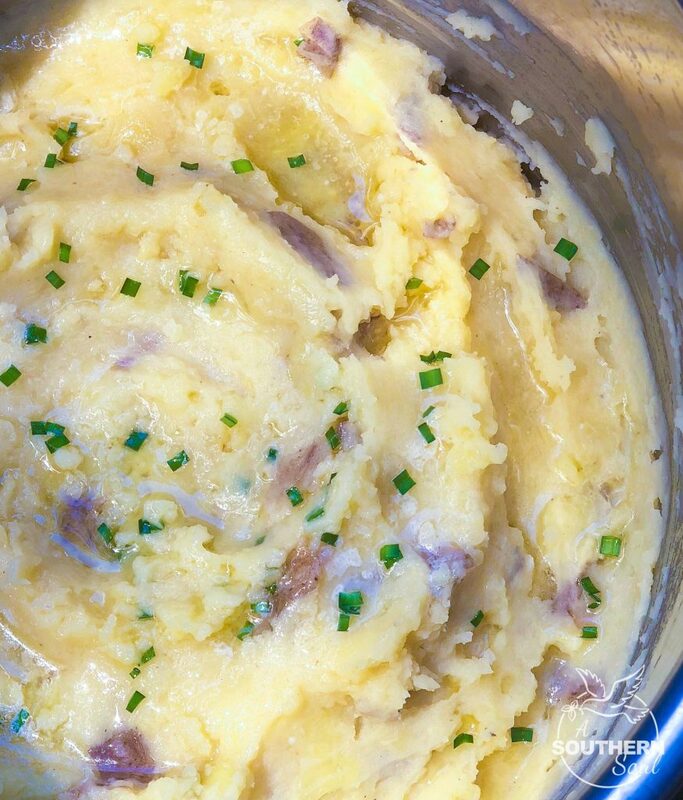 For years, I’ve been making more of a true mash (not whipped) that has bits of potatoes. I also leave the skin on the potatoes because, why go to the trouble of peeling off all that deliciousness. That’s where the good stuff is. 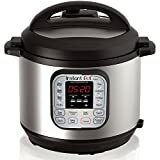 To convert my “go-to” recipe to Instant Pot cooking, all I did was load up the pot and set the timer. After eight minutes, I had a pot full of beautifully cooked potatoes. There was a bit of stock left in the pot so I drained the potatoes and reserved the amazing liquid. 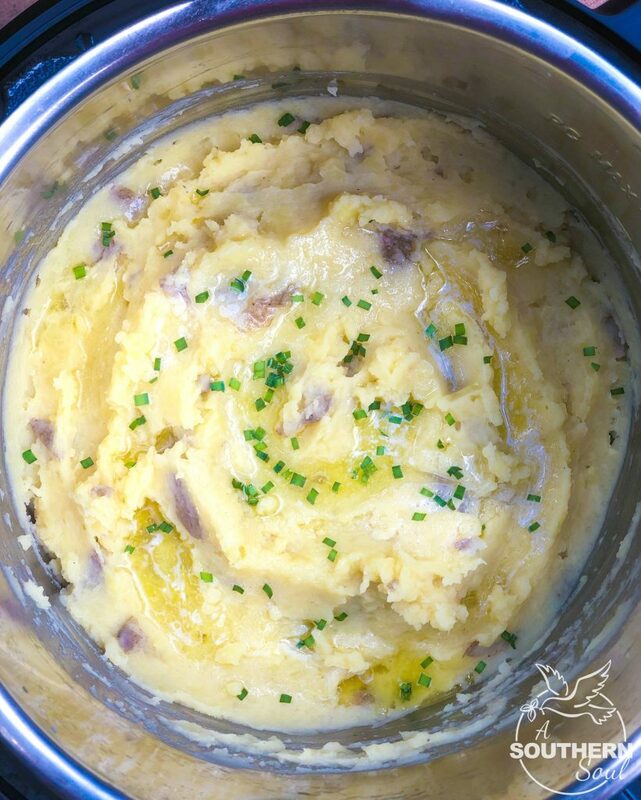 I mashed the potatoes to the perfect texture by adding half and half along with the remaining stock. The only thing left to do was to taste for seasoning, add a bit more butter, some fresh chives and I was done. All of this in 15 minutes or less! I do have to share that it’s a little bit unsettling when you cook something so wonderful in that short of time. I’m used to working a little bit harder for such a delicious, amazing dish but at the end of the day…I’ll get over it. 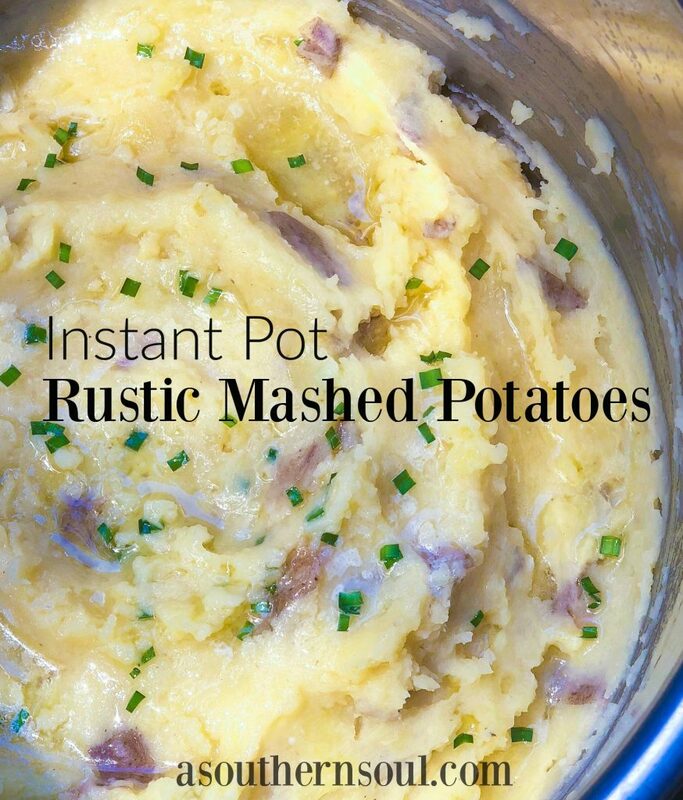 Instant Pot Rustic Mashed Potatoes are here to stay. Add the potatoes to the pot, and pour the chicken broth over the top. 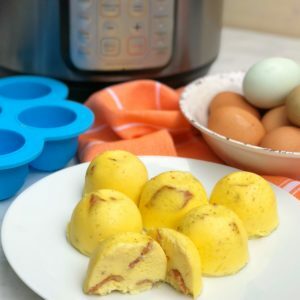 Place the lid on the Instant Pot and set to high pressure for 8 minutes. Quick release the pressure and drain the potatoes, reserving cooking liquid. 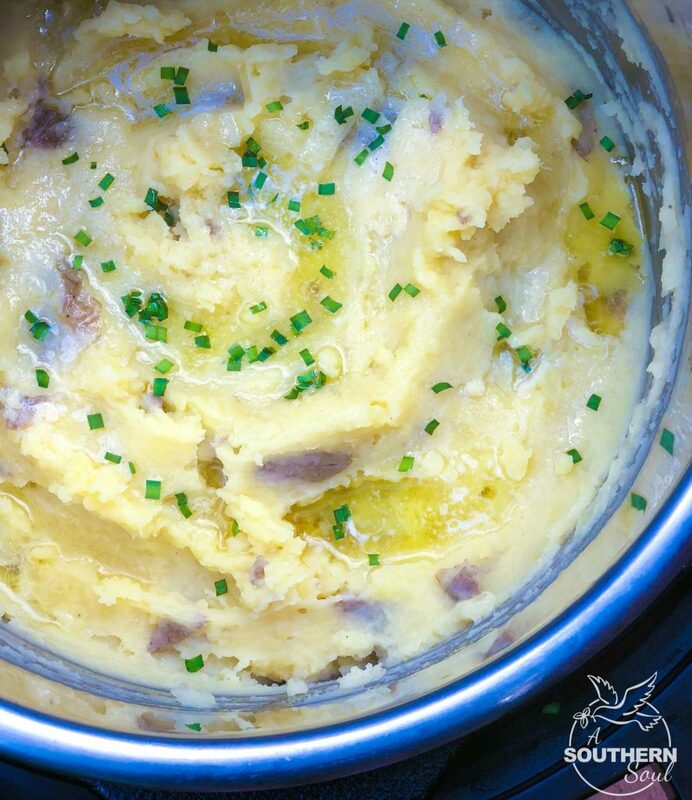 Place the potatoes back in Instant Pot bowl and mash with a potato masher. Add butter, half and half, and salt and pepper, garlic powder and stir to combine. **Add cooking liquid as needed to reach the desired texture. Serve hot with extra butter and chopped fresh chives. Can’t you do the same recipe in a normal pan, would probably take 30 minutes instead of 15. Seems like that would work just as easily. Yes, you sure can, Diane. 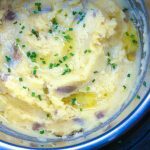 I’ve had lots of request for Instant Pot recipes and these potatoes turned out great! Thanks for sharing your great idea.